Pierre Faucheux is the single most important figure in French graphic design after Cassandre. His place could be challenged by others with reputations in single specialisations – the poster designer Savignac, for instance – or by a few with a wider range such as Marcel Jacno or the Grapus collective. But Faucheux is unique in having created a genre. In the years following the Second World War, as an ‘architecte du livre’, Faucheux invented the ‘livre objet’. Faucheux analysed the elements of the book: what it is and how it works as visual communication. He looked not only at how the design and typography express the text, but at the overall structure – at the book as an object that is handled as well as read. The result was a series of pioneering works. Their energy and inventiveness, originating in the words, was directed to finding the visual acoustics in which their meaning could best be heard. Published in 1978, Faucheux’s Ecrire l’espace (Writing Space) is one of the few key texts of graphic design. As with Diderot’s eighteenth-century encyclopaedia of trades, the urge to describe the mechanics of different crafts seems particularly French. To give accounts of their work, French designers have taken to autobiography. The first of these was Savignac’s Affichiste, published in 1975 in the series ‘Un homme et son métier’ (A Man and his Profession). Faucheux’s book was originally planned for the same series. Ecrire l’espace is graphic: unlike Massin’s book, L’ABC du métier, which is a conventional text with captioned illustrations, Faucheux’s is a one-sided graphic conversation, personal and confiding. It is a text punctuated by images, their extreme contrast often suggesting that Faucheux is giving passionate emphasis with extravagant gestures. The text is set unjustified – with fastidious attention to line breaks – in Faucheux’s favourite Plantin, now and again interrupted by an excited use of capitals. The effect is of enormous energy. Faucheux is now retired and lives in a bright modern Paris flat. Its walls are lined with his own framed photo-collages and with hundreds of the books he designed over more than 40 years. On his desk is a type design on which he has been working for the past three years. Born in 1924, Faucheux was trained in Paris at the Ecole Estienne, the school for the printing trades. Starting at the age of 14, he learned typesetting, layout, proof correction, drawing and art history. His first employment as a typographic designer was in 1942, during the German occupation, and he kept busy with freelance jobbing work. After the war Faucheux worked on two short-lived weekly reviews. Following his own paste-ups, he made up the pages ‘at the stone’ (where the type was assembled and locked into the chase before being moved to the press). In 1946 a luxury fashion magazine, Signes, gave Faucheux the opportunity to work on a special issue with his hero Cassandre. In his posters Cassandre had used systems of geometrical divisions of the surface to determine the position of elements. Faucheux was fascinated by Le Corbusier’s tracé régulateur, a system for analysing the harmony of building facades. By making a similar examination of renaissance books, as Tschichold had, he aimed to arrive at principles that could guide his work. Le Corbusier’s Modulor system of proportion attracted him. Writing about this, Faucheux suddenly challenges the reader. ‘A little mocking smile is coming to your lips, but you’re wrong, quite wrong! I’ve used this method for 30 years (why not admit it?) and it’s never let me down – even if I’ve taken liberties with it, which I often have!’ In France it was traditional to use geometry in this way, part of both Beaux-Arts and post-Cubist teaching. Faucheux is more original in his interest in the symbolism of typeforms. This is the focus of his contribution to design history: his work for the book clubs that began the next year. The book club idea was based on the American Book of the Month Club. Unlike the Americans, however, each French book club publication was a new edition, edited and produced by the club. In France this strategy was particularly important after the war, when printing had been restricted and what was available for reading had to catch up with what had been written (see ‘Language unleashed’, Eye no. 16 vol. 4). From his very first design for Mimes des courtisanes, a play translated from the Latin, Faucheux established his way of working. The size of Caslon type chosen for the text was very large, the names of the characters in spaced capitals. Compensation for the lack of typographic finesse (compare this with a Tschichold play text of the same period) is in the book’s visual energy, its lack of academic bookishness. It belongs to the twentieth century. The cover was a photographic detail of a black-ground Greek vase. This use of ‘symbolic iconography’ in place of illustration for the cover, endpapers and prelim pages was an essential part of the new style. Protected by a jacket of thin, clear, unprinted acetate, what appeared on the binding was particularly important in setting the tone. The apparent objectivity of the ‘document’ distanced the club’s books from the éditions de luxe illustrated by the masters of the Ecole de Paris. The image, as with the typeface, was not to be imposed on the text. The style allowed freedom in the choice of typeface for the titling, with often unexpected changes of scale; text was sometimes exaggeratedly generous in size due to Faucheux’s insistence on readability. From 1946 for a period of nearly ten years, Faucheux was responsible for all the Club Français du Livre design. He made drawn layouts for the half-title, title, section titles, chapter headings, text area, chapter drop, running heads, folios, contents page and imprint. Plantin, Bodoni and Garamond were the favoured typefaces for the text. Various nineteenth-century ‘Modern’ romans and grotesques played a special role. If the typefaces were unsurprising, the books were not. Breaking the symmetry of the double-page spread had been sanctioned by the European avant-garde of the 1930s and Faucheux had no compunction in ranging type left, right and centred on the same page. In the United States designers well known in other field of graphics were uninhibited by the high-culture status of the book – Alexey Brodovitch’s Ballet (1945) or Paul Rand’s design of novels for Knopf, for instance. The important American discussions of book design, Graphic Forms (1949) edited by Gyorgy Kepes, and Marshall Lee’s Books For Our Time (1951), ignored French publications. Yet Kepes in his introduction almost defines Faucheux’s productions. ‘A book can have an integrated personality – its outward face can correspond to its inner content’, he says. This is what Faucheux achieved in several hundred titles. ‘J’ai toujours agi par le symbole.’ (I have always worked with symbols). This is the key to Faucheux’s typography and use of images. The most celebrated of his early books is Henri Pichette’s surrealistic play Les Epiphanies. The text had been laid out in manuscript form by the author as a kind of concrete poetry and Faucheux used this as a layout, pasting up every line. Its originality consists in its substitution of symbols for words: odd typographic elements and bold letters found in the typecase replace the characters’ names. Pages are reversed, white type out of black. It is completely effective. Faucheux never repeated it, though he designed many other play texts. Each book was a new conception. ‘Toujours innover’ (Always break new ground) has been his motto. The innovations would have been unusual in magazine design; in books they verged on the shocking. For the opening of Lautréamont’s Les Chants de Maldoror Faucheux spelt out Maldoror, each capital letter filling a page. The typeface was Deberny & Peignot’s Firmin Didot. This type design has a ‘serious’ expression, according to Faucheux’s essay ‘Letter construction’ (1952), a neglected text that is one of the most significant contributions by a designer to thinking about typographic design. In its historical reference it has some of the schoolmasterly tone of Tschichold, but the style carries the force of a manifesto. Bold crossheads tell the reader that ‘An individual letter of the alphabet is a balanced composition’ – an obvious enough statement vividly demonstrating that given just a few letters from any alphabet, one can deduce the design of the remainder because they are governed by long-standing laws. Even the most eccentric recent typefaces, from Emigre for instance, reinforce an idea which has never been presented as an axiom. Faucheux goes on to expound further principles: ‘a typeface design is a balanced composition.’ Another truism, but when Faucheux shows how a design can emphasise the individual letter at the expense of the whole word he is making a practical point. After this Faucheux comes to more subtle questions – crucial, and neglected, but with a direct connection to practice. When Faucheux talks about always employing the symbol, he is saying that every graphic mark has a symbolic life. And this applies to typefaces. He thinks that the choice of typeface should be determined by the text: ‘Ways of establishing connections between the text and its graphic expression are so varied as to make it impossible to lay down absolute rules. Determined to respond to the sales lost to the Club Français du Livre and other book clubs that operated by mail order, a group of 200 booksellers set up a rival company. This was the Club des Libraires de France, established in 1954. Faucheux was persuaded to join them as production manager and designer. All the books were printed and bound by the same firm in north-east France and every week, by overnight train, Faucheux visited it to control production. Twenty volumes would be in hand at any one time. Over a period of ten years Faucheux was responsible for 450 titles. This way of working allowed for improvisation. Results varied in ambition and quality. Typical of the elaborate finesse Faucheux could often achieve is the club’s version of Raymond Queneau’s Exercices de style (1956). Its pale, sober binding, exquisitely titled in coloured copperplate script, gives no hint of the invention of its text pages. In them Faucheux expresses the different styles Queneau uses to tell the same story – Italian-style, dog Latin, surrealistically, like a detective story, and so on. The graphic equivalents range from extreme delicacy to explosions of enormous type. Here we see the origins of Massin’s more experimental work. There was no standardisation applied to the club’s books. In addition to the usual design decisions of choice of typeface and text area, Faucheux was able to determine the format. (He has a special preference for the squareish 205 x 165 mm). The book was a three-dimensional object, so the format was concerned not only with height and width but also with thickness and weight. In choosing paper, Faucheux took account of the way the paper bulked, not merely its surface and colour. (The text pages of Mimes des courtisanes had been bluish-green, a paper used as ammunition wrapping). During much of this time Faucheux was also working on architectural projects. In 1947, hoping to change to a career in architecture, he had visited Le Corbusier in his studio. Ten years later he spent six months working there. In the meantime he had designed the façade, interior and furniture for the La Hune bookshop, next door to Les Deux Magots and opposite the Café de Flore in St Germain. Combining architectural and graphic skills, Faucheux was much in demand – between 1947 and 1967 he designed 20 exhibitions. His first outside France was for the 1958 Brussels World Fair where he was asked to make a display of ten contemporary writers for the French pavilion. With books, he thought of the reader; with exhibitions, of the visitor moving around the show. He thought of the space they would need, of what they would hear as well as how they would see. At the Brussels exhibition, each writer was represented by a huge blown-up portrait (viewed at 20 metres); autograph signature and extract of writing (at 5 metres); memorabilia in a showcase; jumbo-size biographical album (to be looked at sitting down); recorded voice (heard on pressing a button); photographs and documents on the wall and current editions of ten principal works available for reading. Opportunities for Faucheux to exploit his improvisational skills were provided by two exhibitions in 1959 and 1960 where the Surrealist writer André Breton gave him a free hand. Here the senses were assaulted by such effects as changing the surface of the floor to soft sand to dampen noise, having soft walls that gave out the sound of breathing and sighing, and objects in semi-darkness glowing with phosphorescence. More conventional official commissions followed. Faucheux repeated his success in Brussels with a similar exhibition on French literature for Moscow in 1961 and in 1965 designed the prize-winning French pavilion at the Milan Triennale. A continuous connection with the Paris Biennales at the old Musée d’Art Moderne led to his redesign of a large part of the building’s interior, finally opened in 1972. In 1962 Faucheux left the Club des Libraires, opening a studio, the Atelier Pierre Faucheux, which at its peak in the 1960s had 14 members, reduced to about half a dozen by the time it closed in 1993. The APF studio provided a design service to publishers. Between 1962 and 1976 it dealt with well over 400 separate jobs a year, some of them complete illustrated books. At this level of production there were fewer opportunities for originality. Among the more interesting results are the covers for the ‘Points’ paperbacks. The series was given a circular symbol. Within the circle a marking identifies each of the 19 subject categories – straight horizontal lines, straight vertical, curved horizontal, and so on. From the 1960s Faucheux’s design energies were dissipated by the extent of his responsibilities, commitments and interests. As well as running a studio subject to the fierce pressures of commercial publishing, his fascination with architecture remained constant. He completed two houses, one for the cartoonist Siné. In the mid-1960s he was deeply involved in the replanning of the Les Halles area of Paris, where the Pompidou Centre was finally built. What was essentially Faucheux’s grand plan for a ‘Platform of the Twentieth Century’ crossing the site, maintaining two distinct levels so the lower level had natural light and lakes reflecting the buildings, was approved by the Paris Council. Once agreed, however, Faucheux was pushed aside and few elements of his scheme have survived. After the book club period Faucheux’s best opportunities for original work in book design were provided by the publisher Jean-Jacques Pauvert. ‘Libertés,’ a series of reprints of radical political statements, appeared in the 1960s in a small double-square format (180 x 90 mm). 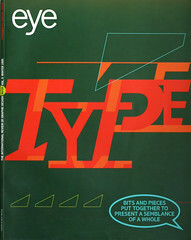 Bound in heavy brown kraft paper with titles in poster-size type, the books’ three dimensions were emphasised by colouring the trimmed edges – top, bottom and side – in black. Pauvert’s and Faucheux’s most protracted project is the still incomplete complete works of the Marquis de Sade. Having established the number of paperback volumes that would make up the set, Faucheux decided that the spines of the 24 books would spell the name Sade when on the shelf. This determined the design on the front of each: it would be a part of one huge Didot capital, the type he had used for Lautréamont’s Les Chants de Maldoror. ‘Didot,’ says Faucheux with relish, is ‘tranchant comme la guillotine’ (as sharp as the guillotine). Some of today’s typographers – and their clients – miss this point. Typeface designs are never value-free. They refer to cultural inheritance. Without an understanding of the effect of a letterform, first expressed by Faucheux 50 years ago, typography is missing a trick.